For my collegues of Gaming Minds Studios I have created a 3D character prototype while the preproduction of their last hit Railway Empire. In the preproduction of Railway Empire we experimented with several types of Charakter styles. 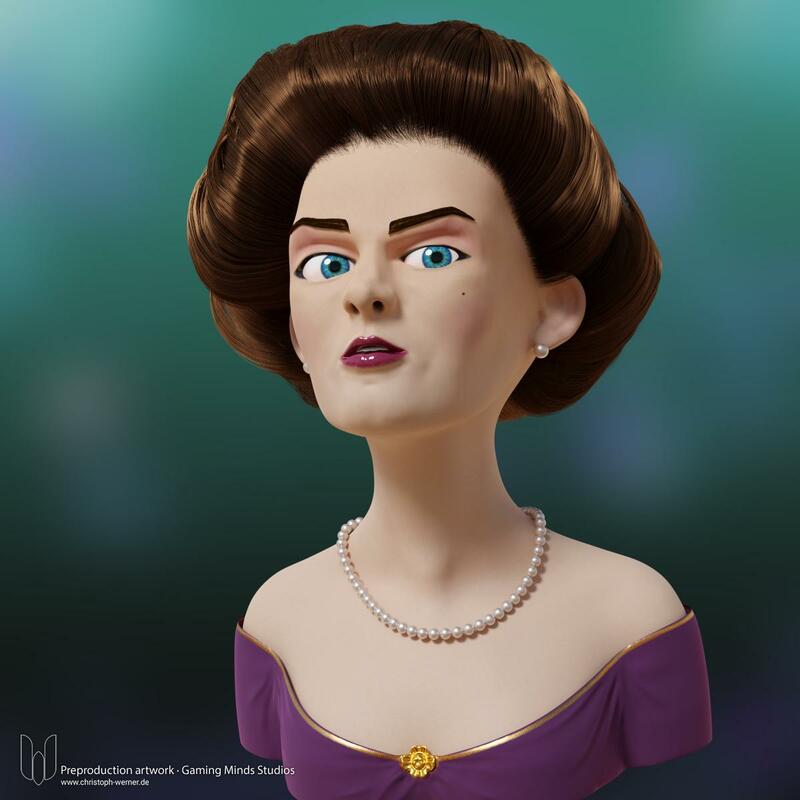 The Western Lady were sculpted in 3D-Coat., the textures and retopology were also done there. I transferred the model into Blender and set a very simple face rig, based on shape keys. The hair was created with Blenders hair system. The final is rendered with Blender Cycles. There was an arm rig too, but we rejected it. Even if the char went not into the final game, I like the Lady a lot and like to present it to you today. I have made some improvements in the hair style and used my CW Eye Material for her eyes. Drop me a line if you have any questions.